Thomas Hewitt is an autistic media correspondent based in Nottingham. Education is a lifelong repetition that all of us will face throughout the course of our lives. 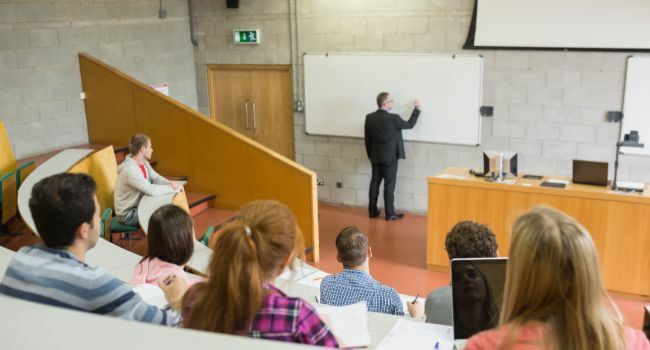 Whether this is in school, college or university, as a society, it is our responsibility to listen and recognise the fundamental basics of our lives and contexts that make us both unique and distinctive in our own way. Occasionally, we may choose to pursue a path in education that we consider to be somewhat easier and flexible, that meets our own private needs outside of learning. Perhaps this may be down to a lack of drive or ambition, or even related to general indolence. Nevertheless, our lives require us to constantly learn and experience new and exciting adventures that define the basis of our characters. Nottingham Trent University were a prime example of how an educational establishment should support those like myself on the autism spectrum. They respected my ability and personality, and helped give me the confidence I needed to achieve my qualification. Below is a response I managed to take from a spokesperson during my time at NTU. “NTU values the diverse skills and talents of our students. High levels of motivation, determination and enthusiasm are among the many qualities that we see in students on the spectrum. So believe me, if you have a form of autism and you are contemplating studying, then please make sure that you secure the appropriate level of support and mentoring that is available out there for you. I cannot emphasis enough the importance of the support I have received during my time at college onwards. If you are struggling to pin down your career options for the future, then again, please talk to an advisor who can point you in the right direction, or someone that you trust. Asperger individuals can indeed become successful and live happy, prosperous lives, but it is ultimately down to you to achieve that. Work hard, be compassionate, and most importantly, be yourself. Be proud of whom you are, and never let anyone tell you that you cannot succeed. Life is about taking the bull by the horns, and it is up to you to go out there and make the best of it, because you deserve happiness and success, which you will get with conviction and self-motivation.